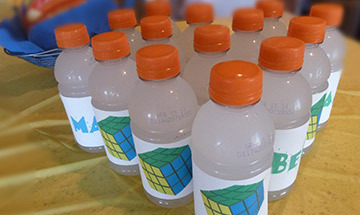 Inspiring Ideas with artist Jeanne Winters: Rubik's Cube Boy Birthday Party! 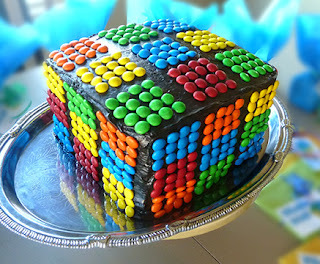 Rubik's Cube Boy Birthday Party! We recently celebrated my son's 7th birthday with a colorful Rubik's Cube themed kid party. He LOVED his cube cake! 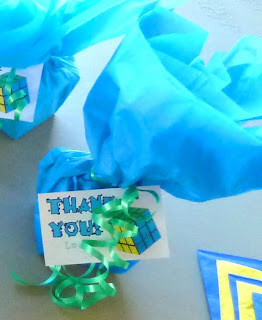 It was really easy to make, but all the kids were "wow'd" by it! 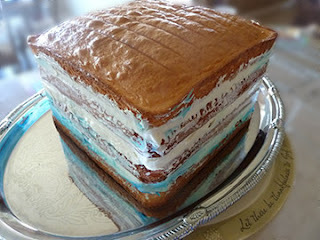 Stack four square strawberry and cherry cake layers to create the cube shape. (I didn't even bother to level it into a "perfect" cube.) Frost with chocolate and spray black. Then simply sort out M&M's by color and set into your pattern of choice. Here's a photo of the cake table. 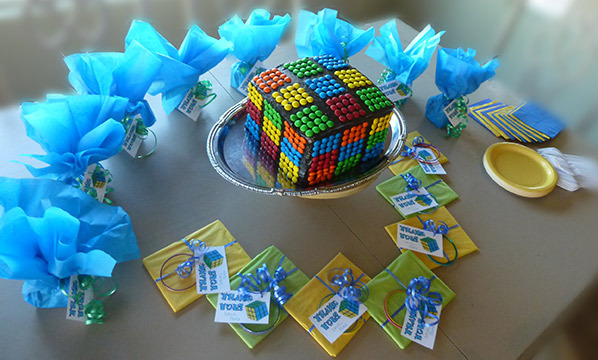 The Rubik's Cube birthday cake is surrounded by the kids' favors. 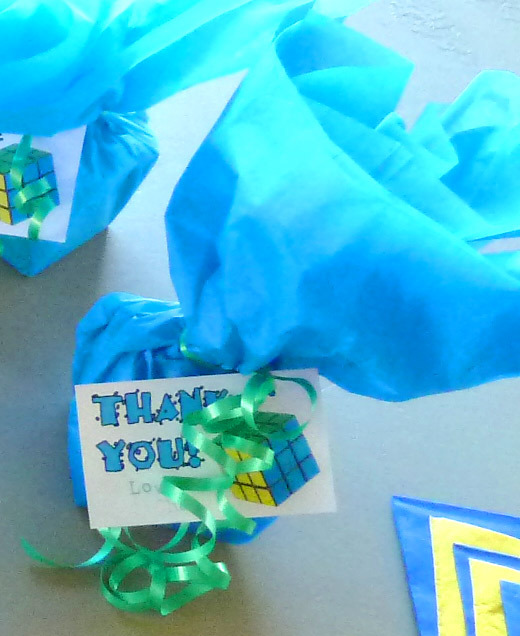 More birthday party fun next time!